Mahmoud Abbas holds a press conference after the sixth Fatah conference (Wafa News Agency, August 13, 2009). Abd al-Latif Musa (nicknamed Abu al-Nur al-Maqdisi) gives a sermon in Rafah proclaiming the establishment of an Islamic emirate in �Palestine� (Hamas’s PALDF forum, August 14, 2009). This week the sixth Fatah conference ended with the election of the Central Committee and the Revolutionary Council, Fatah’s two most important institutions. The middle generation made impressive achievements at the expense of the founding old guard, although Mahmoud Abbas retained his unchallenged position as leader. On the ground, relative quiet continued in the western Negev . On August 14 inside the Gaza Strip an exceptional event occurred in Rafah when Hamas’ security forces confronted operatives of an Islamist network affiliated with Al-Qaeda called Jund Ansar Allah. Behind the confrontation was the statement made by Abd al-Latif Musa, one of the network’s leaders, regarding the establishment of an Islamic emirate in an unbridled attack on Hamas. The confrontation resulted in 24 deaths (Hamas operatives, Jund Ansar Allah operatives and civilians) and more than 130 wounded. 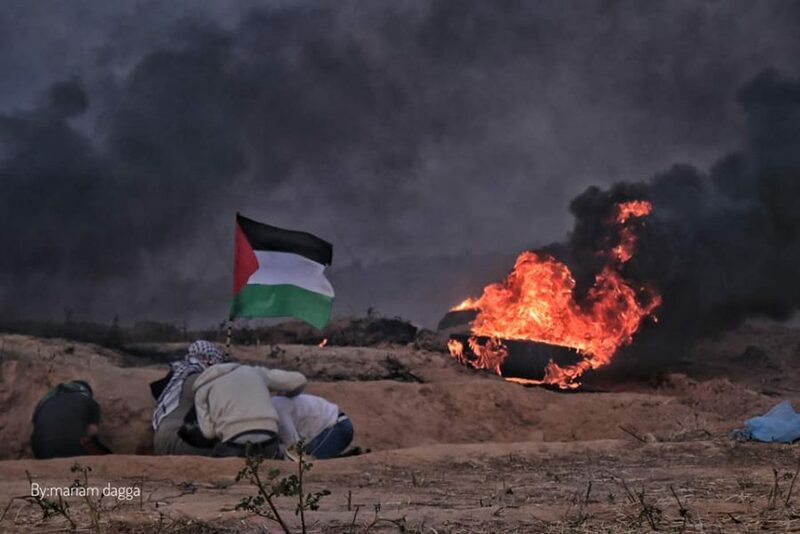 The event illustrated the determination of the Hamas de-facto administration to use force to suppress any group which opposes or challenges it in the Gaza Strip, although they are affiliated with Al-Qaeda and radical Islam. During the past week one mortar shell was fired at Israel civilian working near the border fence. There were no casualties and no damage was done.  August 12 : Two Israeli civilians suffered minor injuries when their vehicle was shot at north of Ramallah. 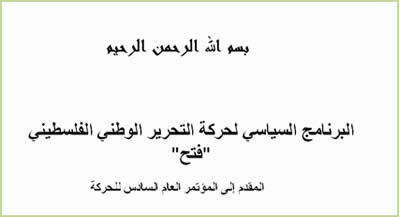 A network calling itself the Imad Moughnieh Squads of the Al-Aqsa Martyrs Brigades claimed responsibility for the attack (QudsNews website, August 13, 2009).  August 13 : An IDF soldier was wounded by stones thrown southwest of Hebron.  August 13 : An Israeli civilian woman was seriously wounded by stones thrown at her vehicle southwest of Bethlehem.  August 16 : Stones were thrown at an Israeli bus west of Bethlehem. The Israeli security forces continued their preventive activities in Judea and Samaria, and several dozen wanted Palestinians were detained in Qalqilya, Hebron, Jenin and Bethlehem . On August 14 violent confrontations broke out in Rafah between the Hamas security forces and the Izz al-Din al-Qassam Brigades on one hand, and members of a jihadist network called Jund Ansar Allah on the other. Jund Ansar Allah is a jihadist radical Islamic network affiliated with the global jihad and which is attempting to challenge Hamas rule in the Gaza Strip. The events began when Jund Ansar Allah issued an invitation to the public to participate in the Friday sermon which would be given on August 14 at the Ibn Taymiyyah mosque in Rafah.1 The preacher would be Abd al-Latif Musa (nicknamed Abu Nur al-Maqdisi), one of the leaders of Jund Ansar Allah, and the sermon was to be called �Golden advice for Ismail Haniya’s government� (Al-Jazeera Talk, August 13, 2009). As the time for the sermon approached, reinforced Hamas military and security forces deployed around the mosque. Hundreds of radical Islamic operatives from throughout the Gaza Strip gathered at the mosque armed with Kalashnikov assault rifles, hand grenades and even explosive belts. at the Ibn Taymiyyah mosque in Rafah (MEMRI, August 17, 2009). Part of Abd al-Latif Musa’s sermon was devoted to an unbridled attack on the Hamas movement and to the proclamation of the establishment of an Islamic emirate. He accused Hamas of having become a secular movement belonging to the �counterfeit� Islam which feared the United States, Britain, France and the European Union, and surrendering to the Israeli rabbis and foreigners such as Tony Blair and Jimmy Carter [who had visited the Gaza Strip] (QudsNews website, August 14, 2009). (Hamas’s PALDF forum, August 14, 2009). Hamas regarded the sermon as a provocation and challenge to its exclusive control over the Gaza Strip . In response, Hamas security forces raised the alert level and the police set up road blocks and surrounded the mosque. Exchanges of fire developed quickly, both sides using light arms and throwing hand grenades. After several hours of calm, as evening approached the confrontations were renewed. Later the focus of the violence moved from the mosque to the region of Abd al-Latif Musa’s house in the Al-Brazil neighborhood of Rafah, where he had fled with his second in command, called Abu Abdallah al-Suri. As the battles died down during the night the extent of the casualties became clear. Twenty four Palestinians were dead and more than 130 were wounded. Seven of those killed were Hamas operatives, among them Muhammad al-Shamali (nicknamed Abu Jibril), the Izz al-Din al-Qassam Brigades commander of the eastern area of Rafah. Jund Ansar Allah casualties included two senior figures, Abd al-Latif Khaled Muhammad Musa , the imam of the Ibn Taymiyyah mosque in Rafah,2 and Fuad Hassan Muhammad Banath ,3 who headed the organization. The Abu Taymiyyah mosque was hit4 and Abd al-Latif Musa’s house was destroyed. In addition, more than 90 armed Palestinians were detained, apparently members of Islamist networks in the Gaza Strip (Hamas’s Palestine-Info website, August 15, 2009). In light of the violent events in Rafah and the challenge they presented to Hamas, the Hamas security forces exerted pressure on other radical Islamic organizations. On August 16 violent confrontations broke out between Hamas’ security forces and members of the Dugmush clan , which is affiliated with the Army of Islam , another Islamic network in the Gaza Strip with ties to the global jihad. The confrontations took place in the Sabra neighborhood in the southwestern part of Gaza City , considered the clan stronghold. The Hamas security forces gave the Army of Islam’s commander, Mumtaz Dughmush , time to surrender to the Hamas forces (it is unclear whether he did so or not). Hamas’ excuse was the accusation that Mumtaz Dughmush was responsible for the death of an operative of the Dugmush clan who belonged to the Izz al-Din al-Qassam Brigades, killed during a internal family confrontation (Hamas’s PALDF forum, Ma’an News Agency, August 16, 2009). 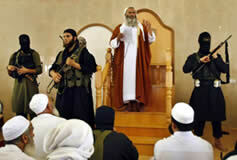 murderers and extremists� (Al-Hayat Al-Jadeeda, August 17, 2009). During the past week the crossings were open for the delivery of merchandise and the passage of Palestinians with humanitarian issues. About 550 trucks entered the Gaza Strip; various fuels and cooking gas were delivered through the fuel terminal at the Nahal Oz crossing. Between August 15 and 17 the Rafah crossing was opened to pilgrims. The crossing was opened to allow pilgrims to reach various places, mainly Saudi Arabia [ Mecca ]. During the three days the crossing was open 2,144 pilgrims passed through. (Wafa News Agency, August 16, 2009). The sixth Fatah conference ended with elections to its most important institutions and with the ratification of its political platform. Despite the raucous, hawkish atmosphere which accompanied some of the deliberations (which included accusing Israel of being responsible for the death of Yasser Arafat), the overall message was support for the continuation of the peace process on the basis of the Road Map, the two-state solution with the 1967 borders, and the Arab peace initiative. However, although the conference made it possible to hold political negotiations, it raised serious difficulties which will hinder the negotiations’ chances of success because of the refusal to recognize Israel as a Jewish state, adherence to �the right of return� [of the Palestinian refugees] and the refusal to abandon the principle of the armed struggle as an alternative in the future (in the present circumstances, support was expressed for unarmed popular resistance against the settlements and the security fence in Judea and Samaria). On August 16, as the conference ended, Mahmoud Abbas said the PLO leadership would convene the Palestinian national council (the PLO’s �parliament,� which has not met since the Oslo accords of the 1990s). The council is expected to meet between August 26 and 27 (Ma’an News Agency, August 16, 2009) to appoint new members to the PLO’s executive committee and to symbolize the continuation of the Fatah conference after its successful closing. On August 17 Mahmoud Abbas participated in a government meeting as its head and received a document from Prime Minister Salam Fayyad entitled � Palestine , bringing the occupation to an end and establishing a state .� The document included the foundations for establishing a Palestinian state with the 1967 borders during the next two years, and the details of a working plan and the priorities of the various government ministries. Mahmoud Abbas called on Israel to meet its commitments as expressed in the Road Map, especially ending every kind of settlement, �including natural growth� (Wafa News Agency, August 17, 2009). The conference held elections for the movement’s two most important institutions, the Central Committee (20 members were elected and four others were appointed by Mahmoud Abbas) and the Revolutionary Council (81 members). 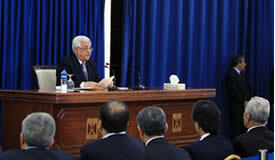 Previously Mahmoud Abbas was elected head of the movement and to the Central Committee in a separate open vote. Fatah’s middle generation made impressive achievements at the expense of the old guard of Fatah founders, although Mahmoud Abbas retained his position as uncontested leader.  Mahmoud Abbas’s dominant position : There is no real opposition to Mahmoud Abbas in the newly-elected leadership, and some of his rivals were seriously weakened. That is likely to increase his self confidence vis-a-vis Israel and in his dealings with his Palestinian rivals (Hamas). Also elected were Muhammad Ghneim (Abu Maher)5 and Salim Zaanoun , both prominent representatives of Fatah’s old guard.  The leadership’s changing generations : Most of those elected to the Central Committee (11) belonged to the middle generation, with prominent representatives such as Marwan Barghouti, Jibril Rajoub, Hussein al-Sheikh and Tawfiq Tirawi. On the other hand, Abu Alaa’, a prominent member of the old guard, was not elected.  The dominance of Judea and Samaria : Judea and Samaria were very prominently represented in the Central Committee, and only four members came from abroad and three from the Gaza Strip, and they are in the minority. The representatives from the Gaza Strip were disappointed by the small number of Gazans elected (See below).  Conspicuous representation of prisoners and head of the security forces : Some of those elected had been imprisoned in Israel in the past (Jibril Rajoub, Hassan al-Sheikh, Muhammad Dahlan). One of them (Marwan Barghouti), who has become a Palestinian symbol, is serving several consecutive life sentences in Israel for his involvement in terrorism. There was also conspicuous representation in the committee of former senior security forces operatives (Jibril Rajoub, Muhammad Dahlan, Tawfiq Tirawi).  Non-realization of this principle at the current time : In a paragraph which immediately followed the abovementioned article, entitled � Forms of resistance at the current stage ,� unarmed resistance of the type employed at Na’alin and Bil’in is mentioned. That was done to distinguish between the current stage of the struggle, which is a mass, unarmed protest against Israel as mentioned by Mahmoud Abbas in his opening speech; and armed struggle, which remains a possible alternative for the future. Refreshing Fatah’s ranks and reinforcing Mahmoud Abbas’ status strengthen Fatah and the Palestinian Authority in its worsening struggle with Hamas for political dominance in the Palestinian arena. The struggle reflected directly on the Fatah conference and was expressed by Hamas’ refusal to allow the Fatah representatives from the Gaza Strip to leave (which almost led to the conference’s being cancelled). In the end it did take place, which symbolized a Fatah achievement against Hamas. The ratified Fatah platform extended its reference to Hamas according to the article � The elections, the Hamas takeover and the separation from Gaza .� It accused Hamas of widening the abyss between the Gaza Strip and the West Bank, suppressing its opponents, establishing institutions to replace those of the Palestinian Authority and conducting indirect negotiations with Israel , which led to the lull in the fighting.7 Hamas is also accused of having used force to quell the opposition of the other organizations, �providing unprecedented protection for Israel ‘s borders.� The platform also states that by doing so Hamas �has forgotten its old claims and declarations about continuing the resistance, which it used as excuses for its repeated attempts to cancel our agreements with Israel …� Fatah also says that for Hamas, control of the Gaza Strip has become its main objective, giving no thought to national Palestinian unity or the interests of the Palestinian people. 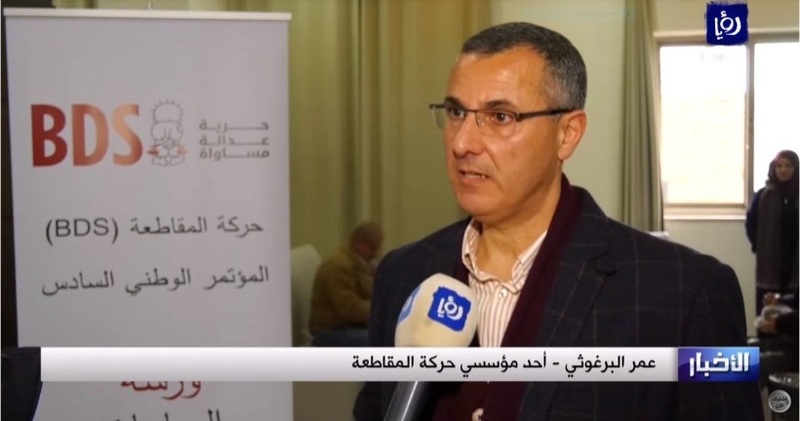  Ahmed Nasser , candidate for the Central Committee from the Gaza Strip, said that he objected to the results which had been made and claimed the results had been falsified. He said that they were �a corruption of the Palestinian cause and did not reflect the genuine results of the conference� (Hamas-affiliated Safa News Agency, August 11, 2009).  Hassem Khader , senior Fatah figure, said that Hamas had influenced the entire conference and even the vote count. He added that the elections for the Central Committee and the Revolutionary Council were �accompanied by a severe procedural defect, i.e., the lack of secrecy at the entrance to the polling places and during the voting.� Asked if there had been external influences on the members of the conference, he replied that �the Palestinian mentality is part of the Arab mentality, and unfortunately, we are still unable to create a democratic culture and we have a long way to go reach it� ( Al-Quds Al-Arabi , August 11, 2009).  Ismail Radwan , senior Hamas figure, said that �the talk about the new Fatah leadership is an internal Fatah matter,� adding that Fatah had to be seen acting according to national interests, first among them the �resistance� (Al-Aqsa TV, August 11, 2009).  Fawzi Barhoum , Hamas spokesman, said that Fatah stood before an election regarding the basic Palestinian rights and principles and that it would be examined according to the degree it adopted the idea of �resistance� (Hamas’s Palestine-Info website, August 11, 2009).  Salah al-Bardawil , senior Hamas figure, said that �the results of the Fatah elections are an internal Fatah matter. Hamas regards the results from one point of view: the degree of the new Fatah leadership’s commitment to the fundamental Palestinian principles and to national reconciliation� (Filastin al-�An website, August 11, 2009). Egypt officially told the representatives of the Palestinian factions that the reconciliation dialogue would be renewed in Cairo on August 25 (Al-Quds, August 15, 2009). Muhammad Ibrahim, aide to Omar Suleiman, head of Egyptian general intelligence, arrived in the Palestinian Authority to prepare the ground for renewing the talks between Fatah and Hamas ( Al-Ayyam , August 15, 2009). In his closing speech at the Fatah conference, Mahmoud Abbas called for the renewal of the talks between Fatah and Hamas, saying that Fatah would continue the dialogue despite Hamas’ recent provocations. 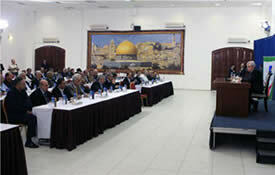 He also reiterated his position that the Palestinian Authority would seek to hold elections to the Palestinian Legislative Council at the beginning of 2010 (Wafa News Agency, August 15, 2009). The PLO’s executive committee said in a statement that the only possible way to achieve a successful reconciliation dialogue was to hold general elections for the Palestinian Authority at the beginning of 2010. The statement came in answer to Hamas’ claim that elections could not be held in the near future because the movement could not oversee the elections in Judea and Samaria ( Al-Hayat Al-Jadeeda , August 16, 2009).  Hamas’ military buildup : As Hamas and the other organizations developed their fighting capabilities before the fighting in Gaza [Operation Cast Lead], the same is true after it, they continue developing their [military] capabilities, �despite the difficult conditions.� They do so �because our land is occupied and it is our right to acquire weapons, regardless of the circumstances.� Therefore it is �the right� of the Palestinians �to break the siege� of the Gaza Strip with the use of the tunnels, through which, claimed Khaled Mashaal, only materials needed for daily life were smuggled [He deliberately did not admit that the tunnels were used to smuggle in weapons for Hamas’ military buildup.]. On August 13 Fathi Hamad , interior minister of the Hamas de-facto administration, gave a speech at a rally organized by the ministry of the interior and national security apparatus in honor of the casualties and wounded of Operation Cast Lead. The rally was also attended by Ismail Haniya, head of the administration, and by other senior Hamas figures. In the speech, which was broadcast by Hamas’ Al-Aqsa TV on August 13, Fathi Hamad admitted that the Hamas security forces did not only carry out internal security missions but also took part in the movement’s military activities . He said that the Hamas security apparatus was national and carried within it jihad and the resistance [terrorism], and sacrificed martyrs from among its men.8 Mahmoud Abbas’ security forces were the opposite, he said, they persecute the �resistance,� detain and kill its jihad fighters and coordinate with Israel to damage the �Islamic project.� He summed up his speech by saying that the security forces would continue to guard �the resistance and jihad project,� and the Palestinian people. Nicholas Blanford, a correspondent for the Christian Science Monitor who lives in Beirut , reported that the initial findings of the UNIFIL investigation (which is supposed to end soon) showed that the storehouse which exploded in the village of Khirbet Silim on July 14 housed large quantities of weapons . Among them were rocket launchers, mortar shells and ammunition for heavy guns. Old Israeli artillery shells were also stored there. According to the report, UNIFIL force counted at least 60 explosions within the storehouse. The UNIFIL force claimed that most of the weapons were old and had been placed there before the second Lebanon war. However, evidence was also found that the site had been secured by Hezbollah operatives. According to Milos Strugar, senior advisor to the UNIFIL force, the fact that an active weapons storehouse existed in Khirbet Silim was a gross violation of the UN Security Council Resolution 17019 ( Christian Science Monitor , August 15, 2009). 1 Ibn Taymiyyah was a 14 th century Islamic theologian and commentator. Although his opinions were considered conservative, to this day his writings are used as a basis for the development of radical Islamic movements’ ideology, Al-Qaeda among them. His writings also served to develop the conservative Wahhabi school of Islam in Saudi Arabia . 2 Abd al-Latif Khaled Muhammad Musa (nicknamed Sheikh Abu al-Nur and Abu Nur al-Maqdisi), 49, lived in Rafah. He was a doctor who in the past had worked for the Ministry of Health of the Palestinian Authority. He served as imam for the Ibn Taymiyyah mosque and had considerable authority. He was considered a role model by global jihad elements in the Gaza Strip. He was also close to the Army of Islam and served as their spiritual mentor. 3 Fuad Hassan Muhammad Banath (nicknamed Abu Abdallah, Abu Abdallah al-Suri, Abu Abdallah Muhajar), 45, came from Syria . He was a Hamas activist before he left the movement and became head of Jund Ansar Allah. He was one of those behind the attempted showcase terrorist attack at the Nahal Oz crossing in June 2009. 4 Hamas, which accused Israel of attacking mosques during Operation Cast Lead, did not hesitate to attack and hit the Abu Taymiyyah mosque. 5 Muhammad Ghneim (Abu Maher) belongs to the founding generation and has traditionally be allied with those who take a less flexible line. He is considered a potential heir for Mahmoud Abbas as Fatah leader. 6 See the Fatah conference website, http://www.fatehconf.ps/atemplate.php?id=660. 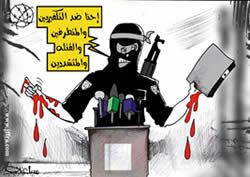 7 Sometimes the platform refers to a �ceasefire� ( hudna ), sometimes to a �lull in the fighting� ( tahadiya ). 8 The remarks made by Fathi Hamad reflect the fact that many Hamas security force operatives serve at the same time in the Izz al-Din al-Qassam Brigades , Hamas’ military-terrorist wing. 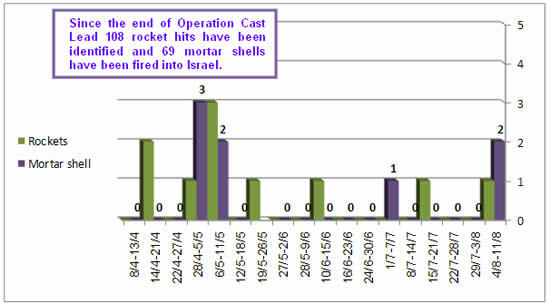 During Operation Cast Lead security force operatives were integrated into the Izz al-Din al-Qassam Brigades defense program and were badly hit by the IDF, which severely disrupted their ability to function. 9 For further information about the event see our August 3, 2009 bulletin �Explosion in Hezbollah weapons depot in the village of Khirbet Silim exposes the existence of an active Hezbollah military infrastructure south of the Litani river� at http://www.terrorism-info.org.il/malam_multimedia/English/eng_n/pdf/hezbollah_e012.pdf .